We’ve actually stopped using the word “goal” at The Junto Institute. Chuckling a little at my dismay, Chadha went on to explain that his team had shifted towards using the word “priority” in place of goal. They’d found that their apprentices viewed goals as “far out in the distance,” while priorities had a greater connotation of urgency, and gave their apprentices something to work on that very day. The language nerd in me sat with that thought for the rest of the day, debating the hidden meanings of goal versus priority, and how using one word over the other shifted your focus on a daily, weekly or annual basis. It’s what I call a “fuzzy concept” – an idea that you can grasp, but that doesn’t always have tangible, actionable deliverables attached to it. And fittingly, that’s exactly what Raman Chadha specializes in every day. As the co-founder of The Junto Institute, a leadership revenue accelerator for growth stage companies, Chadha helps leaders and entrepreneurs improve their leadership skills and their companies’ bottom lines by developing emotional intelligence skills, which they then apply to their companies for a higher probability of success. The Junto Institute is based on the belief that emotional intelligence is the single biggest contributor to leadership effectiveness and job performance – crucial factors for growth stage companies in the “sink or swim” phase of entrepreneurship. Chadha also highlighted two common traits of leaders that he’s observed throughout his time working with entrepreneurs: tenacity and the ability to cope with ambiguity, uncertainty and chaos. Similarly, since no two days of running a company are the same, you need to get comfortable with the unknown and operating without a fully-fleshed out path of how you’ll get from Point A to Point B. For those of us not at the helm of a growing company, we can still develop emotional intelligence in our everyday lives. One specific way to do that: work on becoming increasingly aware of how you’re feeling in as many moments as possible throughout the day. Try it right now: how are you feeling? Push yourself further than “fine,” “tired,” “happy” or any other generic adjectives; try using the most specific word you can find (need inspo? 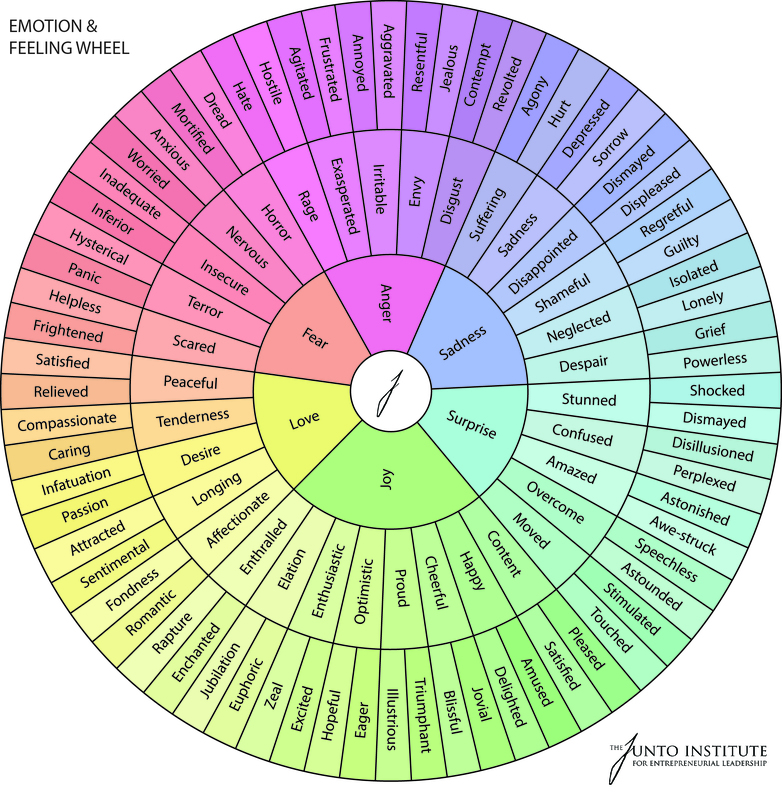 Check out this emotion wheel for ideas). By becoming uber-familiar with your own emotions and feelings, you develop self-awareness AND empathy for those around you (which in turn helps you become a more effective leader). Ready to feel inspired, motivated, eager, stimulated and enthralled? 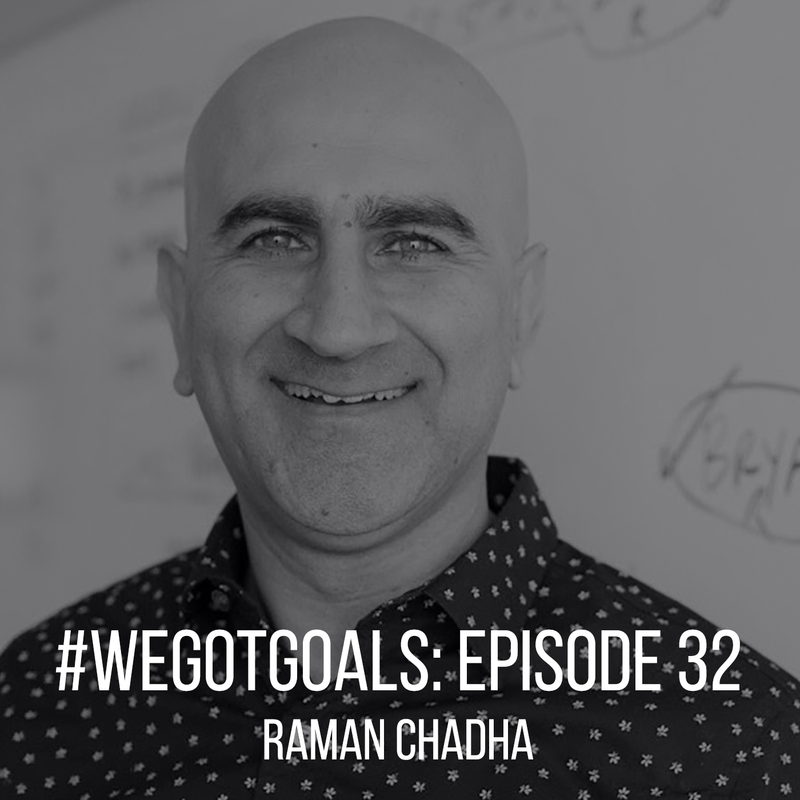 Listen to our interview with Raman Chadha here or wherever you get your podcasts. This podcast is produced by Cindy Kuzma and is another thing that is better junto (together) and with friends. If you like what you hear, we’d love it if you left us a rating and a review on iTunes.